Ryan P. Kennedy, Esq. of the Hill Wallack LLP Tax Appeal Group will be providing a property tax assessment and appeal seminar for investors at the February 18, 2014 meeting of the South Jersey Real Estate Investors Association. For more information please visit the SJREIA website and for more information on Tax Appeals visit the Hill Wallack LLP Tax Appeals Blog. 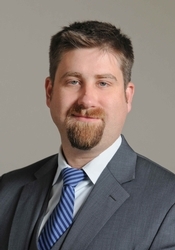 Ryan P. Kennedy is an attorney in the Princeton, N.J. office of Hill Wallack LLP where he is a member of the firm’s Real Estate Division, Banking & Financial Services, Eminent Domain, Property Tax Appeals and Regulatory & Government Affairs Practice Groups. In the field of tax appeals, Mr. Kennedy regularly represents property owners, lenders and municipalities before the New Jersey State Tax Court and County Boards of Taxation. He has been featured in numerous publications including WSJ SmartMoney Magazine and often speaks to attorney and real estate groups on the always evolving subject. Mr. Kennedy also acts as counsel to government entities and private parties in all aspects of commercial transactions, including complex property acquisitions, from negotiated purchase to contested eminent domain matters, and has been involved with the development of several notable transportation and educational facilities, including the State’s first Transit Village project, the Hudson Bergen Light Rail and the Secaucus Junction Station. A regular fixture in the New Jersey community, Ryan sits on the Boards of several charities including the Hopewell Valley YMCA and the RWJ Hamilton Hospital’s Lakeview Foundation. Active with the Mid-Jersey Chamber of Commerce, Mr. Kennedy is the also the Vice-Chairman of Lawrence Township’s Redevelopment and Economic Growth Committee and acts as treasurer for the Hopewell Valley Democrats in Mercer County, where he resides with his wife and two daughters.